Mike Erskine is the store manager for the Standard Door Supply in North Oxford, MA. He certainly is not lacking experience in the garage door industry, with a combined 23 years in the industry, nine of which have been with Standard Door. He has 2 kids that he is very proud of. Mike’s hobbies are chilling with this black lab named Case, traveling, being in the great outdoors and relaxing on the beach as well as hanging out on his deck at home enjoying good food and good beer! Mike grew up in Germany and currently resides in Northern Worcester county, Massachusetts which might explain why he loves to vacation anywhere hot, preferably on a cruise ship. He has one of the best outlooks when it comes to his career, he treats it like a sport instead of a job! We are extremely proud of Mike and are honored to call him part of the Standard Door family. Andrea Daigle is the office administrator at the North Oxford, MA Standard Door Supply. She has been with us for the past 3 years and her customer service skills are on point. She is certainly good at what she does best, selling doors! Her goal in life is to live a happy, healthy and successful life with here two boys and two dogs in Northbridge, Massachusetts. She loves to fish, go to the beach and spend time with her family and friends!! Andrea’s favorite place to vacation is California, or better yet, anywhere warm. Her colleagues would best describe her as entertaining, funny and just plain delightful. Sandy Taylor is the office assistant in North Oxford, MA. She has over 22 years in the garage door industry. She is our newest employee at Standard Door but we already know she is a keeper since she is passionate about doing her best and giving 100%, plus it doesn’t hurt that she loves her job. She is an animal loving, camping enthusiast and car racing fanatic who loves to go on family vacations to Mexico with her children and grandchildren. She wasn’t kidding about being an animal lover either. She has cats, cockatiels, geckos and fish! Sandy has some great goals set for herself, she plans to pay off her house and live to 100 years and we sure hope she gets to meet both those goals! She is funny, silly and caring and anyone who is lucky enough to meet her would agree with us. 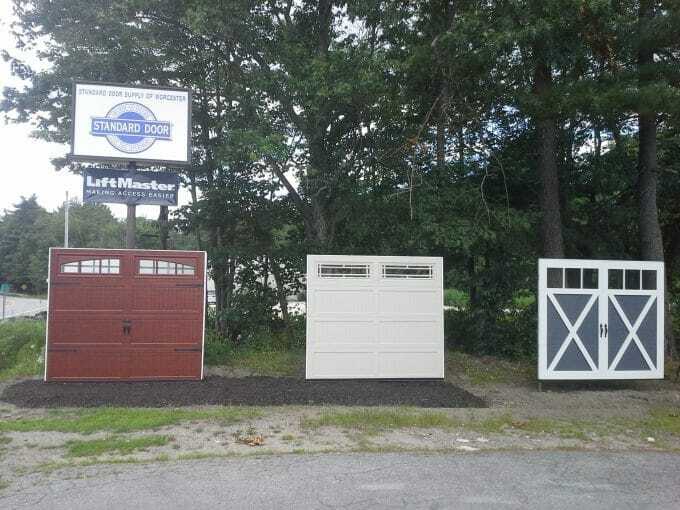 Come STOP BY AND CHECK OUT OUR SHOWROOM IN CENTRAL MASSACHUSETTS and meet our friendly and helpful staff!! Minutes away from Auburn, MA and only a short drive from Worcester, MA! We have everything you need in one stop! 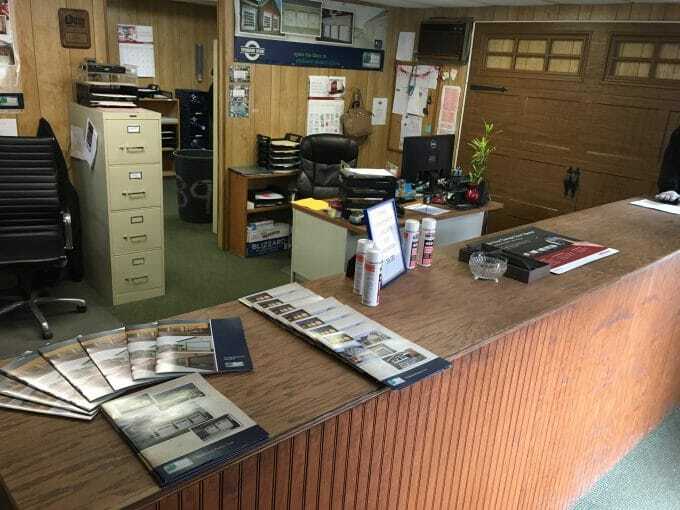 In addition to several popular doors on display, we also stock a wide variety of samples in an assortment of styles and colors. 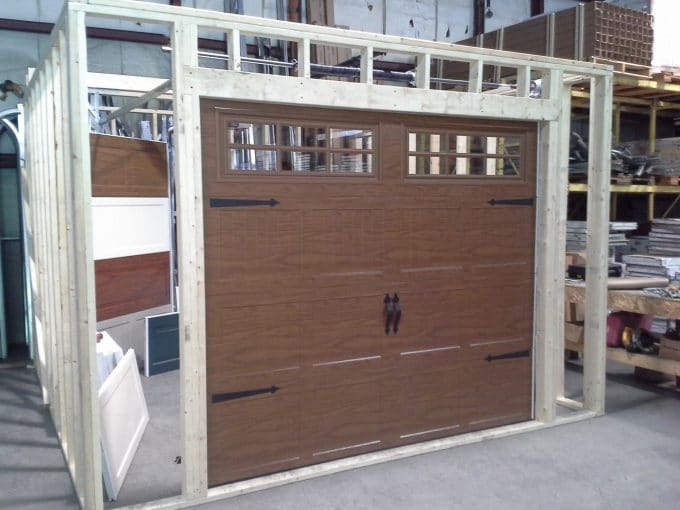 Complete with the ability to take those samples home, you are sure to pick the perfect garage door! Furthermore, we have an abundance of up to date literature on doors as well as electric operators. We can even help you choose the perfect installer that fits all your specific needs. As a result, you are sure to leave having all you questions answered and a smile on your face! Who knew picking a garage door could be so fun and easy!